restoration methods known to our industry. With Jennings All Spruced Up, our goal is to make everyone we serve a customer for life. Which is why we ensure that our water and flood restoration services are a step beyond the rest. 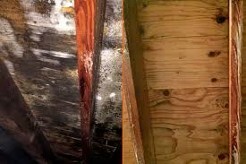 Water & Flood Cleanup, Mold Remediation and Odor Removal. Jennings All Spruced Up is referral driven, customer-centric, cleaning and restoration company, centrally located in Coventry RI. Specializing in residential and commercial carpet cleaning, water damage restoration, mold remediation, furniture cleaning, hard surface floors, hot water pressure washing, leather cleaning and conditioning and oriental rug washing services. Jennings All Spruced Up offers all of Rhode Island, 24 Hour Emergency Water Cleanup, Flood Cleanup & Mitigation Services. Water mitigation and restoration services are needed when, water invades your home or business. Water damage can be caused by a multitude of things from broken hoses and leakage from areas such as washing machines, hot water heaters or dishwashers, to cracked pipes in your home, clogged, overflowing toilets. Water damage can also result from moisture coming in from your walls or foundation, plumbing issues and inclement weather such as rain, floods, snow or ice dams. Whatever the cause of your water damage it is nonetheless a major issue that needs to be handled by professionals. If left untreated water damage can cause unwanted and sometimes harmful after effects from everyday structural damage to mold and other problems. Do not do it alone, let the professionals at Jennings All Spruced Up handle all of your water damage restoration needs. When a flooding emergency occurs, you need expert assistance and you need it fast. Jennings All Spruced Up's trained technicians are on call 24/7. We arrive on the scene with powerful, state-of-the-art water removal and drying equipment that extracts the water from your home and drys your home quickly and efficently. 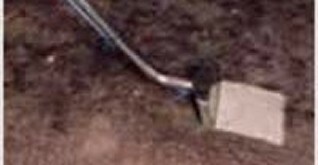 Depending on the amount of water, we may use powerful submersible pumps in addition to industrial strength, wet/dry vacuums. Structural Drying and Air Purification: Jennings All Spruced Up uses specialized equipment, including industrial air movers, air scrubbers and dehumidifiers, to remove water retained by building materials and other areas of moisture. We carefully monitor the progress using moisture meters until the materials return to acceptable drying goals. Sanitizing Treatments we use antimicrobial, antibacterial, or disinfectant treatments to clean your property and protect it from future mold contamination. Cleaning & Restoring: Jennings All Spruced Up is well equip and has the skill set to clean and restore your home to better than pre-loss condition! 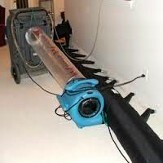 We provide flood and water damage clean up 24/7. Water removal Removal and extraction of standing water (clear water, mud, rainwater, and sewage). Dry out Drying building materials & personal belongings (wood floors, carpet, walls, ceiling). Move Out/Pack Out & Disposal services: When needed, Jennings All Spruced Up will work with you to determine what property can be saved then remove and dispose of damaged materials that can not be restored with guidance from you and your insurance adjuster. Items that can be saved will be moved to a non-affected area of your home or packed and moved to a storage facility. Create a detailed drying plan using to safely remove moisture as quickly and economically as possible, leaving your home in better condition than when disaster struck.